This weekend I participated in Brooklyn Cookin’, a three-day food photography workshop with a really creative concept. Photographer Chris Marquardt and Chef Mark Tafoya teamed up to create the weekend where participants come in pairs. One person from each couple takes a cooking workshop with Mark, and the other learns food photography with Chris, using the cooks’ creations. Then we get to eat the props! Each day was so packed with fun and learning, that I’ll split the experience into three posts. There were six couples, some local, but others from as far away as Rhode Island, Colorado, and California. In fact, Chris Marquardt came all the way from Germany! All the photographers were accomplished in various aspects of the art and craft, so we got up to speed really quickly and I learned an incredible amount from the others. The first day we got to know each other and had a great culinary and photographic tour of a small area of downtown Manhattan. The cooks learned about ingredients and shopping, and the photographers got warmed up with some street photography. 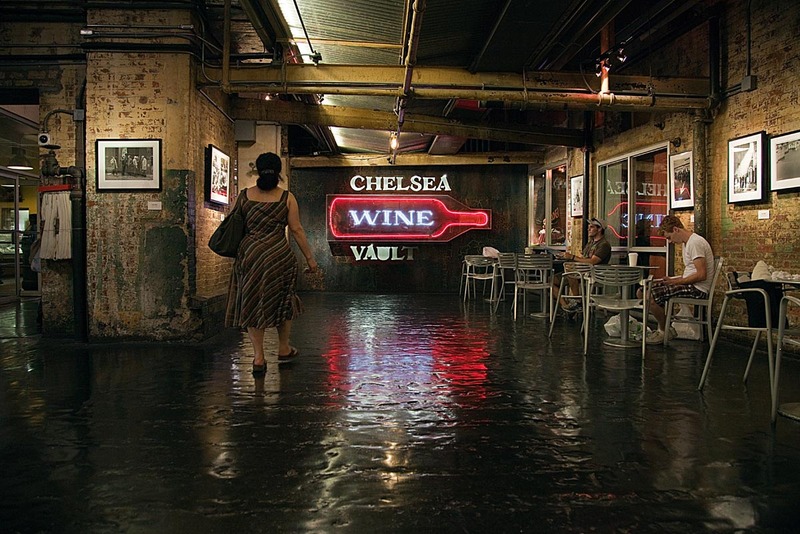 We started at Chelsea Market, a local Mecca for foodies. As it got crowded with shoppers, the photo opportunities increased. We moved on to The High Line, the new elevated park, with a rich history serving the New York food market on its rail line. The weather was unpleasantly hot and humid, but it didn’t deter us. After lunch we went to the Union Square Greenmarket, a haven for foodies and street photographers alike. We all got along so well that when the day’s activities were through, we had drinks together and became fast friends. 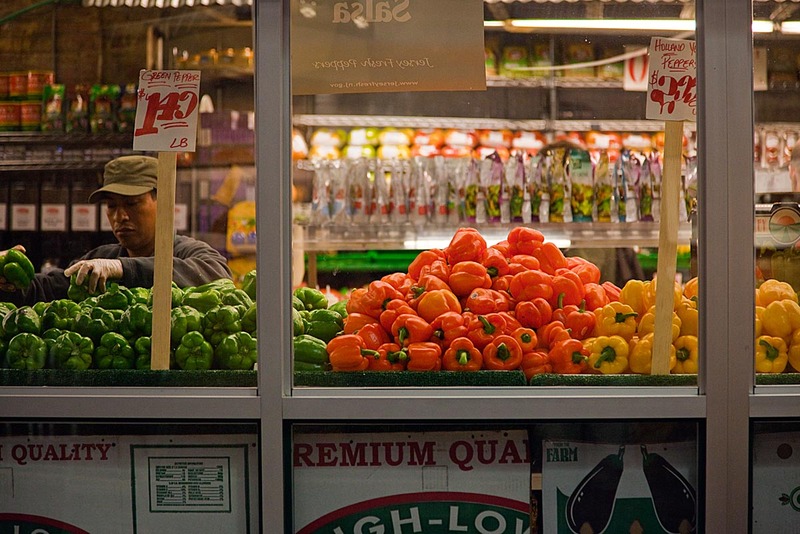 Arranging peppers at Manhattan Fruit Exchange. I’m shooting from outside in the dim hallway light while the inside of the store is badly lit with fluorescent tubes. It was challenging to get a good exposure. 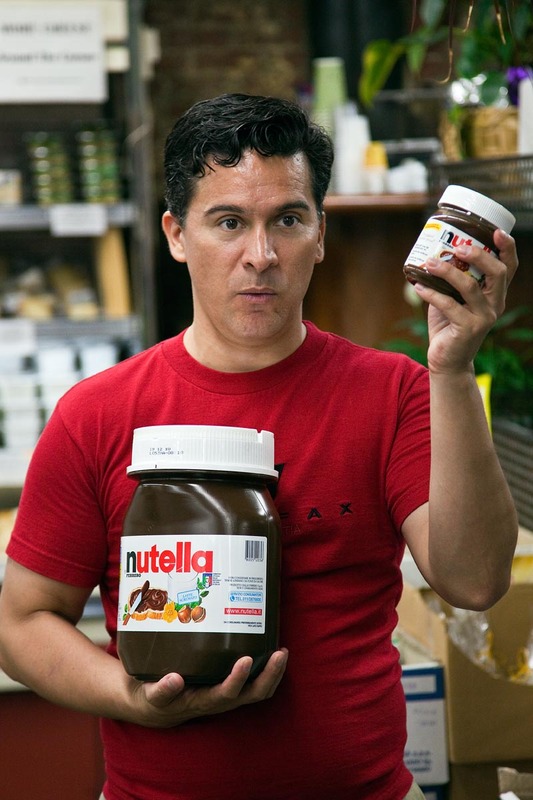 At Buon Italia, Chef Mark explains that there is a difference in taste between the Nutella produced in Italy and the same product from Canada. He prefers the Italian. 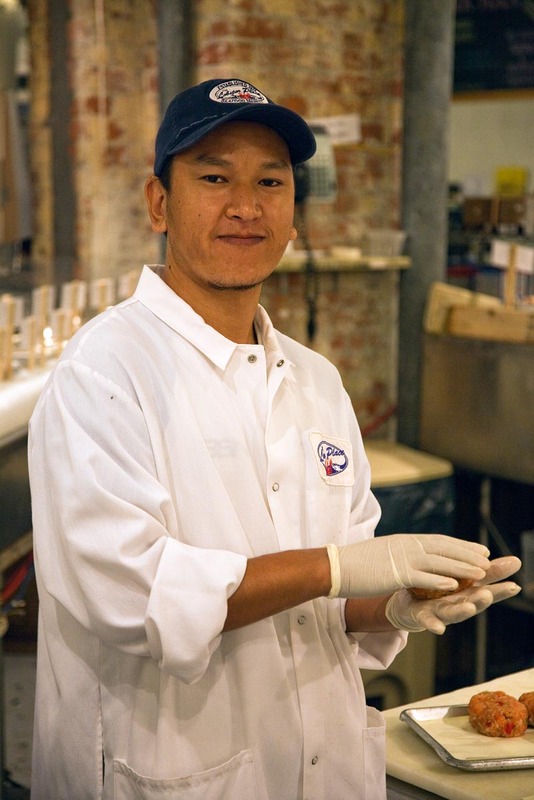 This man generously poses for a portrait while preparing seafood burgers at The Lobster Place. 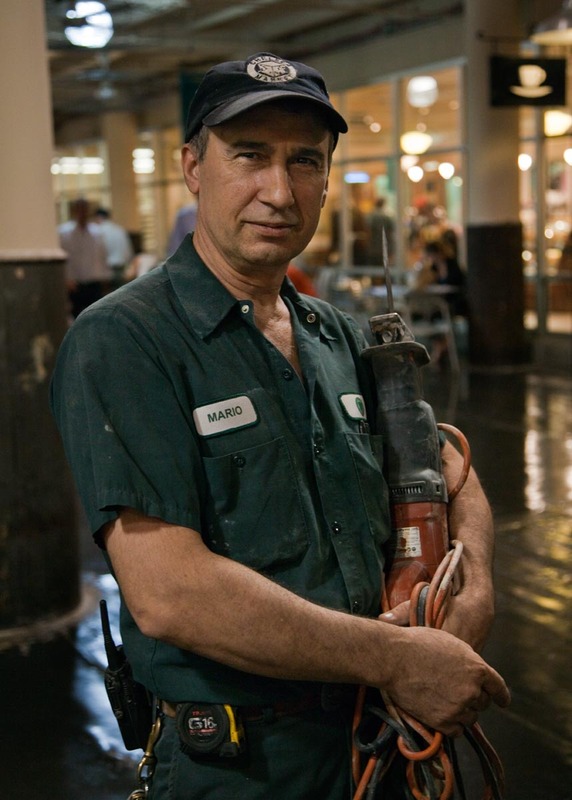 I encountered Mario, who works for Chelsea Market, outside Amy’s Bread. Standing with his saw, he looked like a subject from an August Sander photograph. He was shy, but with some flattery I convinced him to pose for a few shots. Our overnight assignment was to edit all our photos from the day down to one favorite. It was tough, but this is the one I chose. At the end of The High Line, we were so hot and hungry that we had lunch at the closest restaurant that could seat all 12 of us right away. 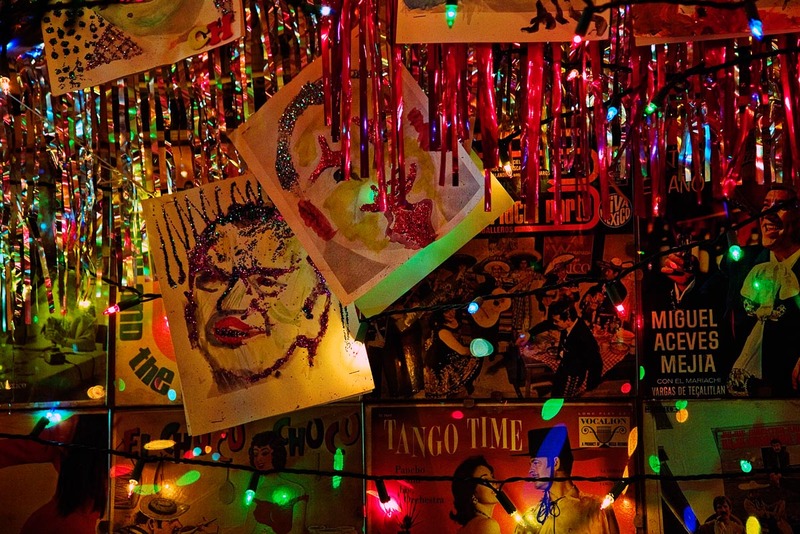 The Tex-Mex food at Tortilla Flats was as good and fun as the decor. 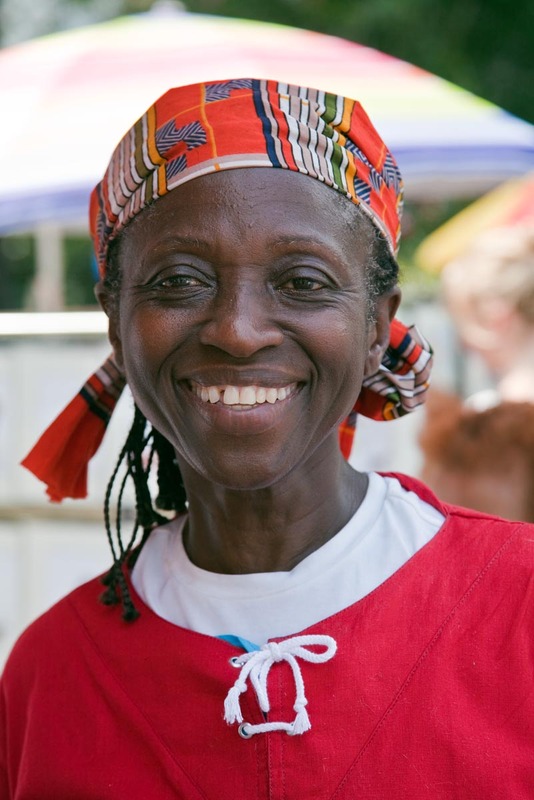 This woman graciously posed for a portrait at the greenmarket. She was working with an organization that helps find homes for cats. She had cages full of adorable kittens. 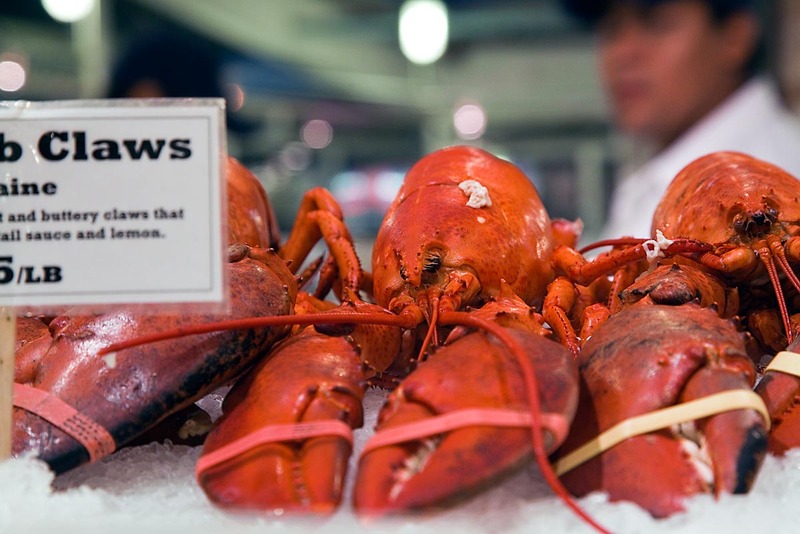 So what’s the tie-in with food photography? Some people say cats taste like chicken! An entertainer at the market. She was moving so quickly that I switched from aperture priority to shutter priority (which I had preset at 1/500 second) and got a pretty sharp photo. 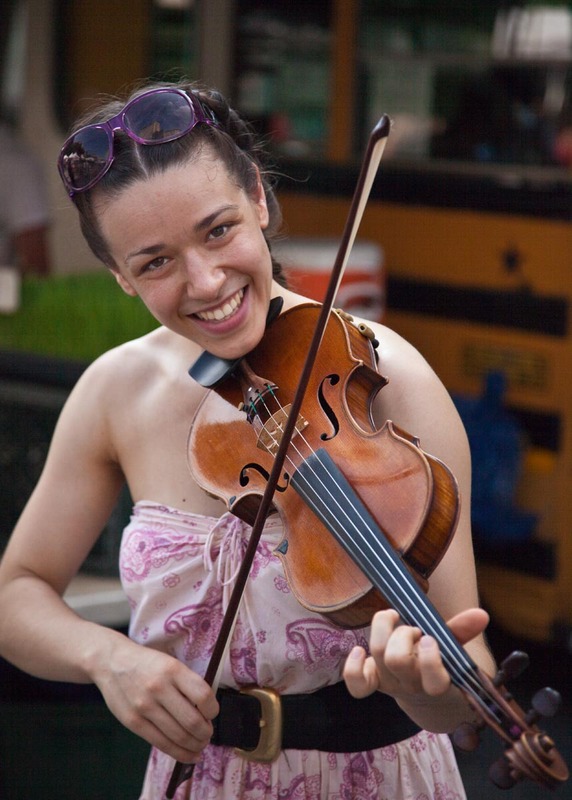 I shot a large burst of frames and was lucky to get one with her looking directly at me with the scroll of the violin perfectly in the lower right corner and her other hand in the frame as well. Portraiture is my favorite type of photography, but I felt obligated to shoot at least some food at the market. 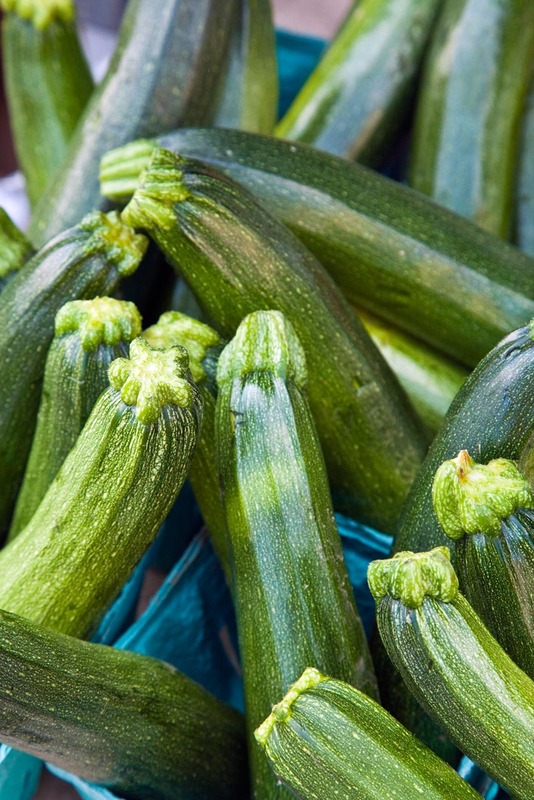 I approached this one as a portrait of the zucchini. 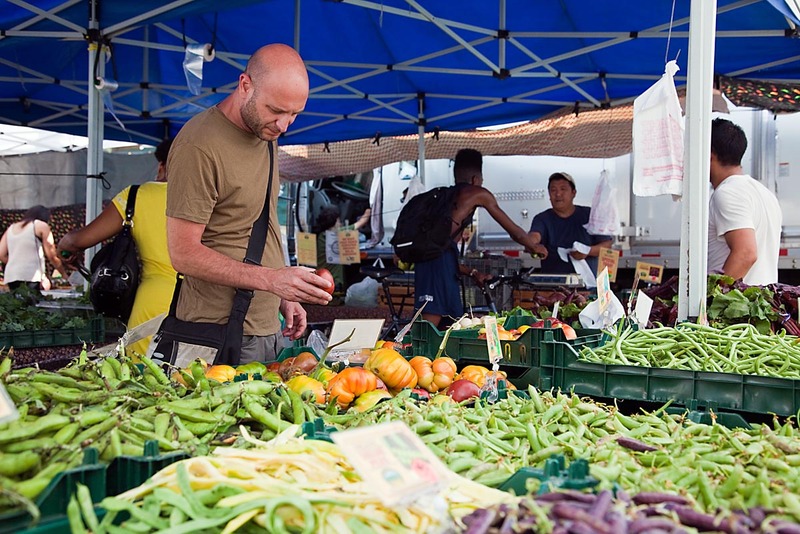 And here I force myself to shoot at a wider angle to capture an overall sense of activity at the market. >> Stay tuned for my posts on days 2 and 3 of Brooklyn Cookin’! Alan, It truly was a pleasure to meet you at Brooklyn Cookin’. I enjoyed your creative AND very relevant view of photography and how it functions in a commercial environment. Great images of the environment surrounding the workshop. I look forward to following your words and images as your blog continues to grow. Thanks for the experience.